Real life emotions are often blended and involve several simultaneous superposed or masked emotions. 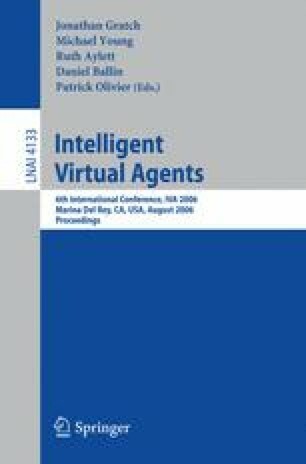 This paper reports on a study on the perception of multimodal emotional behaviors in Embodied Conversational Agents. This experimental study aims at evaluating if people detect properly the signs of emotions in different modalities (speech, facial expressions, gestures) when they appear to be superposed or masked. We compared the perception of emotional behaviors annotated in a corpus of TV interviews and replayed by an expressive agent at different levels of abstraction. The results provide insights on the use of such protocols for studying the effect of various models and modalities on the perception of complex emotions.